Who doesn’t love pizza? I could definitely eat it for the rest of my life if I had no choice. There are so many toppings and combinations to choose from when creating a pizza that I doubt I could ever get bored. Making pizza sounds very strenuous and frankly boring when I could easily call up my Papa Johns and get an easy and delicious pizza made for me. However sometimes, eating healthy is essential and this pizza is definitely on the healthier side. I remember when something said it was gluten free there wasn’t anything remotely attractive about it to me. Now, I enjoy gluten free treats! Since I do not have celiac disease I don’t avoid any gluten products, however sometimes it just makes me feel lighter when I do. It’s also the perfect thing to make if you are gluten free! 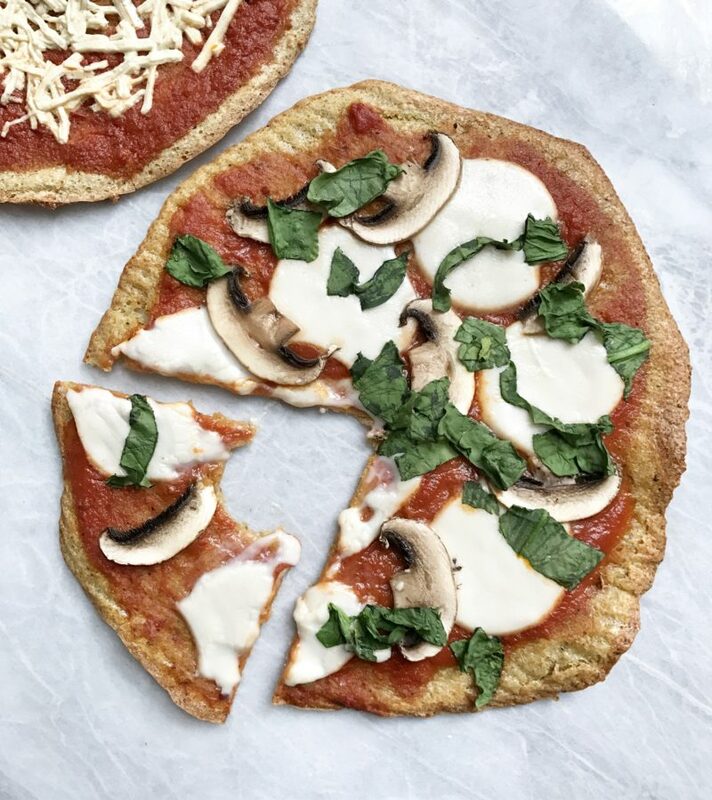 Top this pizza with vegan cheese or just veggies! Another fun idea is adding a base of BBQ sauce and adding some Vegan cheese & Vegan chicken! OMG. I need to go make that right now! I hope you enjoy this recipe! If you ever make any of my recipes, don’t forget to tag me on Instagram @Plantbasedjane so I can see! Take your 3/4 Quinoa and put it in a bowl. Cover with water (At least 1 inch of water covering the top of it). Let it soak 7-8 hours or overnight. After soaking, drain and wash your quinoa. Add it to a food processor with 1/4 water and all your other ingredients. Mix until smooth. 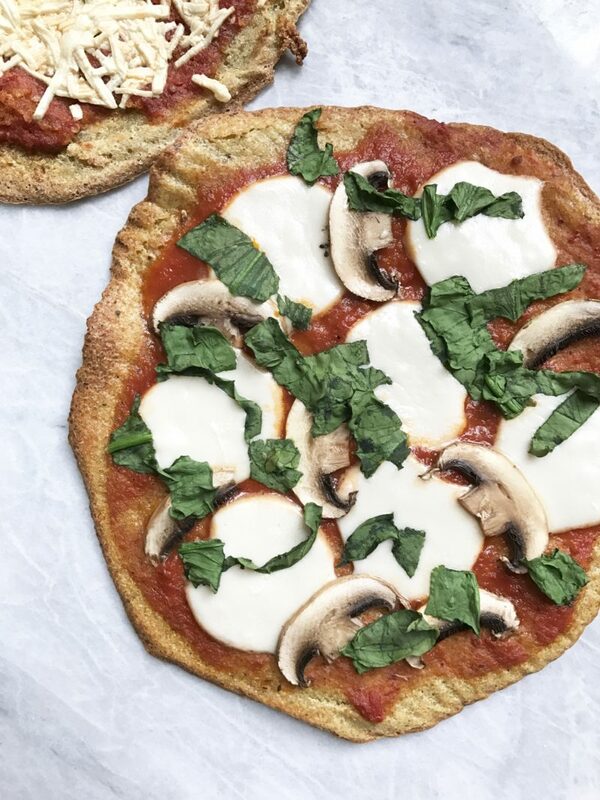 Add your crust and form it into a pizza shape. Place in oven to cook for 15 minutes. Take out, flip and let it cook for another 10 minutes. After the 10 minutes, take out and add your toppings. Put in oven and let cook for another 10 minutes. Looks amazing! What kind of cheese are you using in this photo? It was the Daiya provolone slices!